Tucked away among the hills on the southeastern edge of the state lies Moncove Lake State Park. 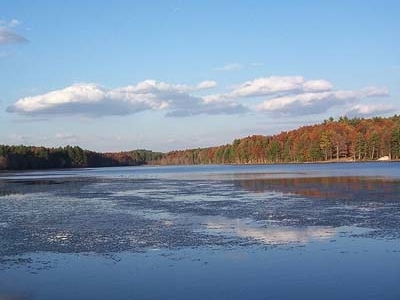 Located in the pastoral setting of Monroe County, Moncove Lake State Park seems worlds away from everyday realities. With all park facilities located within easy walking distance, this is the place to enjoy the simple things in life. Local groups and individuals have been using the park for years as a location for social outdoor gatherings, a place to do some quiet reading, take a stroll, or to put a fishing line in the water. In more recent years, campers have discovered the quiet, easy-paced life in this area and have been returning on a regular basis. Even during the busier summer months lazy afternoons are commonplace and a moments rest is only a sunset away. However, for your best chance at total quiet and solitude the spring and fall seasons present the best opportunities. Here's the our members favorite photos of "State Parks in West Virginia". Upload your photo of Moncove Lake State Park!